Bitcoin price might be in for a downtrend as it is moving inside a newly-forming descending channel. Technical indicators on this time frame also support further declines. This might be enough to take bitcoin price to the channel support or the mid-channel area of interest. 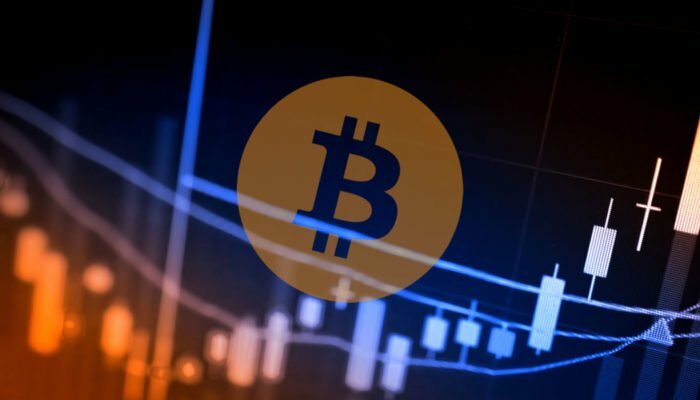 Bitcoin price might be in for another slide as it bounced off the top of a short-term descending channel. The 100 SMA is below the longer-term 200 SMA to indicate that the path of least resistance is to the downside. In other words, the selloff is more likely to resume than to reverse. The 100 SMA is currently holding as dynamic resistance also and the 200 SMA is slightly above the channel top to add another layer of resistance. 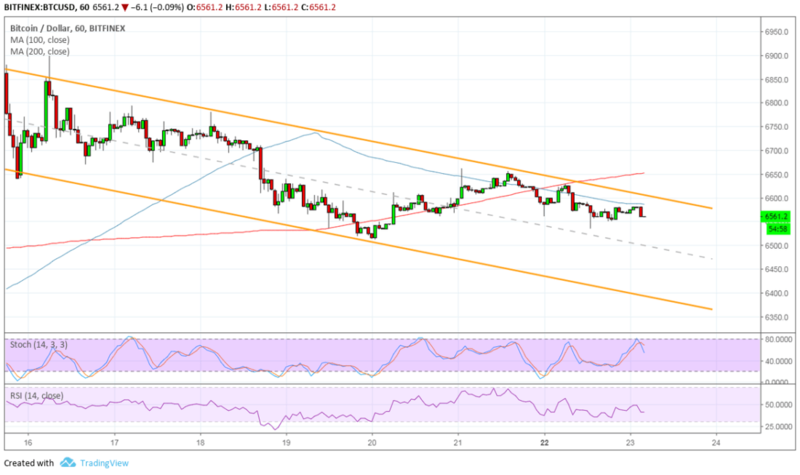 Stochastic is turning lower to show that selling pressure is returning, likely enough to drag bitcoin price to the channel support at $6,350 or at least the mid-channel area of interest at $6,450. RSI is also pointing down even though it still has some room to climb before hitting overbought levels. This suggests that sellers might be eager to return and book profits off the recent rallies. Bitcoin price appears to be stalling on its recent climb as traders wait for more catalysts to lead to more gains. The announcement that ICE Bakkt bitcoin futures should be ready for trading soon reminded market watchers of how the CME futures likely spurred the huge drop late last year as it opened bitcoin to short positioning. With that, it’s understandable how traders might be moving away from bitcoin holdings, fearing that another tumble might ensue. It’s important to remember, however, that bitcoin has one more catalyst to look forward to early next year. Fidelity will be making its institutional platform more widely available by then, leading to more institutional funds and possibly stronger gains.